​Manchester City manager Pep Guardiola has confirmed that Benjamin Mendy is back in training and could return to action within the next two weeks. Mendy has been out since undergoing knee surgery in November. Fabian Delph, Oleksandr Zinchenko and Aymeric Laporte have all deputised at left back with varying degrees of success. Speaking ahead of ​Manchester City's Carabao Cup semi-final first leg against Burton Albion on Wednesday, Guardiola said that ​Mendy is training alone but may be playing again before the end of January. "He’s much better," Guardiola told ​Manchester City's official website. "He’s training alone. Two weeks, three weeks maybe [until he returns]." 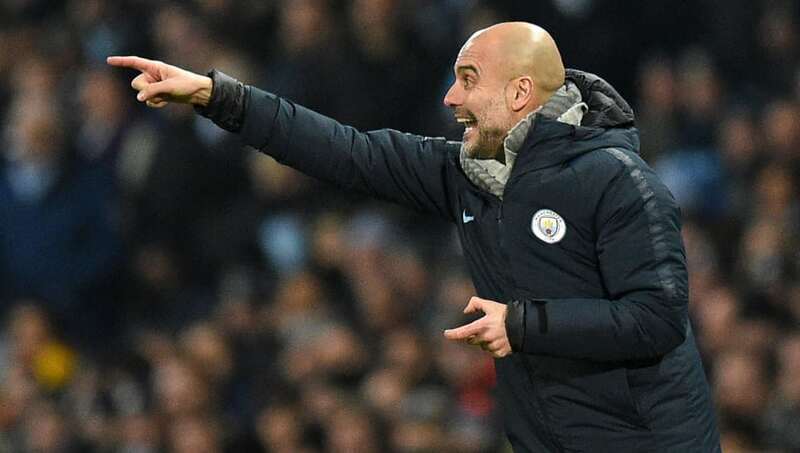 Guardiola also confirmed that every other member of his squad is fit for Wednesday's game against the League One side, who have reached this stage by beating four teams from higher divisions. Meanwhile, there was also an update on the contract situation of club captain ​Vincent Kompany. The Belgian defender is a free agent at the end of the season but City want him to stay and are prepared to extend his contract if he can prove his fitness. "Yeah, we’re considering it, we’re talking about. I’d like that," said Guardiola when asked if Kompany would be getting a fresh deal, quoted by the ​​Mirror​. "He’s our captain, 11 years here. We saw his huge personality [in the 2-1 win over Liverpool]. The only problem with Vincent is his injury problems." In both of Guardiola's full seasons at the Etihad Stadium, Kompany has started less than half of City's matches because of various injuries. This season he has remained fit, but Guardiola has tended to prefer Laporte and John Stones at centre back. Kompany was rested against Rotherham on Sunday but may return tonight.